← Do health and reproductive drive cancel each other? Hi!I like this blog a lot.So, I'll follow it.The last post is very interesting for me, because I feel fascinated by prehistorical technology.Kindest regards. 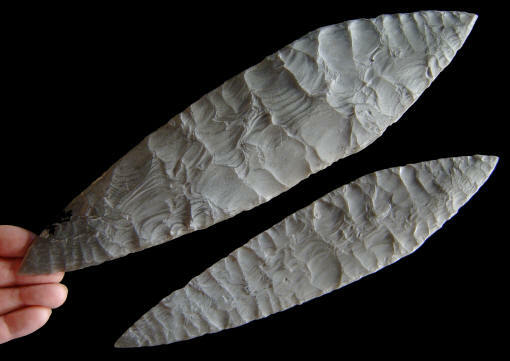 I find even more notable the evidence for bone tools of a similar age in Africa. Bone toolmaking is one of the ubiquitous indicators of modern human behavior that is very rare in archiac homonin populations.The two technologies combined make the case for quite advanced middle stone age technology in Africa as far back in time as genetical mutation rate dates for Khoisan-non-Khoisan splits at the very base on the Y-DNA (haplotypes A and B) and mtDNA (haplotypes L0 and L1) trees, and around the time of the earliest Out of Africa events. But bone tools are also more generic and older in Europe. Not all local variants used them but they are definitively as old as the first UP technologies (Ahmarian/Emirian and related). My surprise was more about the affinity with Solutrean tech, something I had already visually observed in MSA industries in general but did not know it reached such high detail of technological identity. 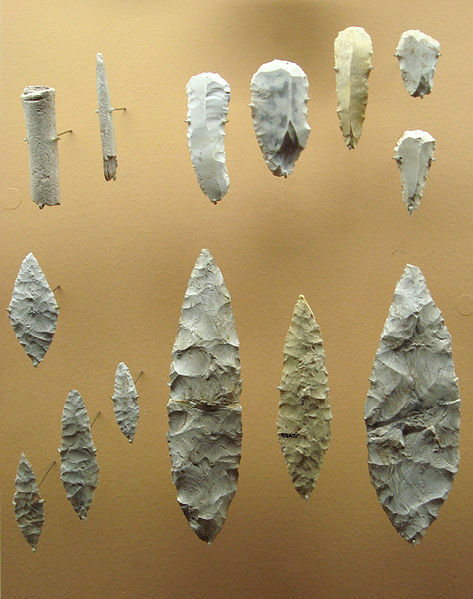 "The two technologies combined make the case for quite advanced middle stone age technology in Africa as far back in time as genetical mutation rate dates for Khoisan-non-Khoisan splits at the very base on the Y-DNA (haplotypes A and B) and mtDNA (haplotypes L0 and L1) trees, and around the time of the earliest Out of Africa events".I don't make sense of this because L1 and specially L0 are A LOT older than the Out of Africa. More likely reflects a point when the descendants of L0 (L0d1'2 specially)reached Southern Africa (from an East African likely origin, see this). Alternatively it may be just a cultural introduction. About the same time as the Stillbay period, we see very similar toolkits in South Asia (Petraglia 2007) and I think that we can identify several L0 subclades which made it to Arabia, though not beyond, it seems. In fact it'd seem that the arrival of L0d1'2 to South Africa fits well with the coalescence of L3'4'6. It's a possible chronological reference but should be quite older than the arrival to South Asia (as M and N, some 8 mutations downstream). The L3 expansion itself is 5 mutations downstream of L3'4'6 and hence, in parallel, of L0d1'2 (see here for a reference). Thanks Argie. Not sure what to do with it right now but it is a nice piece of data collection. I'll save it, maybe it comes handy later on.Or do you want to make it available to readers of fwtwwa? I could make a post with download link but I'd need some better documentation to explain it. Don't worry about it, I just wanted to share it with you. I posted it in some other forums, too, anyhow.